At Barks And Recreation, we’ve done a lot of really neat things to bring you the best luxury boarding and day care facility in the Mid-South. We have the only Indoor / Outdoor runs in Memphis. We have the only overnight staff. Indoor and Outdoor play areas. Our outdoor play area is heated. We sell only the best products, supplies and toys available. All great things for you and your dog and now we are pleased to announce that Barks And Recreation is the Memphis and Mid-South authorized dealer for Gibi GPS locator devices. We’ve researched all of the available pet locator devices and we’re absolutely convinced that Gibi offers the best product value and performance on the market today! Gibi is a sleek, good-looking device that attaches to your dog’s collar or harness and thru the magic of GPS, locates your pet with the click of one button on your smart phone or computer. If you’ve ever had a pet gone missing, you know how agonizing it can be. Never lose a furry friend again with Gibi! 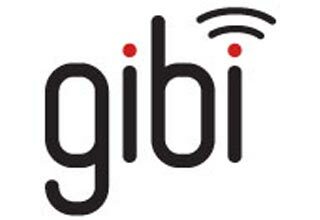 Once you’ve registered your Gibi and downloaded the extremely easy to use app on your phone or other connected device, Gibi will locate your dog in seconds and it’s extremely accurate. Gibi lets you know when your BFF (Best Furry Friend) is out of your designated safe zone. Gibi can easily notify friends- or a neighbor close by, when you dog leaves the safe zone. Now if your buddy gets out, you don’t have to search- you click on Gibi and go get him! Barks And Recreation is proud to be Gibi’s authorized Memphis and Mid-South dealer. Yes, you can buy Gibi on the internet, but Barks And Recreation is the only place in the Mid-South that offers assistance in registering your Gibi and shows you how to use it. We’re also the only place that offers Continuation of Service. By that we mean that if you have a problem with your Gibi, instead of sending it back for service and being without coverage for transit and repair time, you’ll simply come back to Barks And Recreation, we’ll get you going with a new device and we’ll send yours back for repair or replacement. Gibi is a wonderful device. We use them at Barks and we have one on each of our family pets. You can’t get a higher recommendation than that! Gibi locator devices are $159 at Barks and there is a $9 per month monitoring fee that is paid to Gibi. There is a discount on the monitoring fee if you pay by the year. Come by Barks And Recreation today and check out Gibi. It’s on display in our Customer Area.